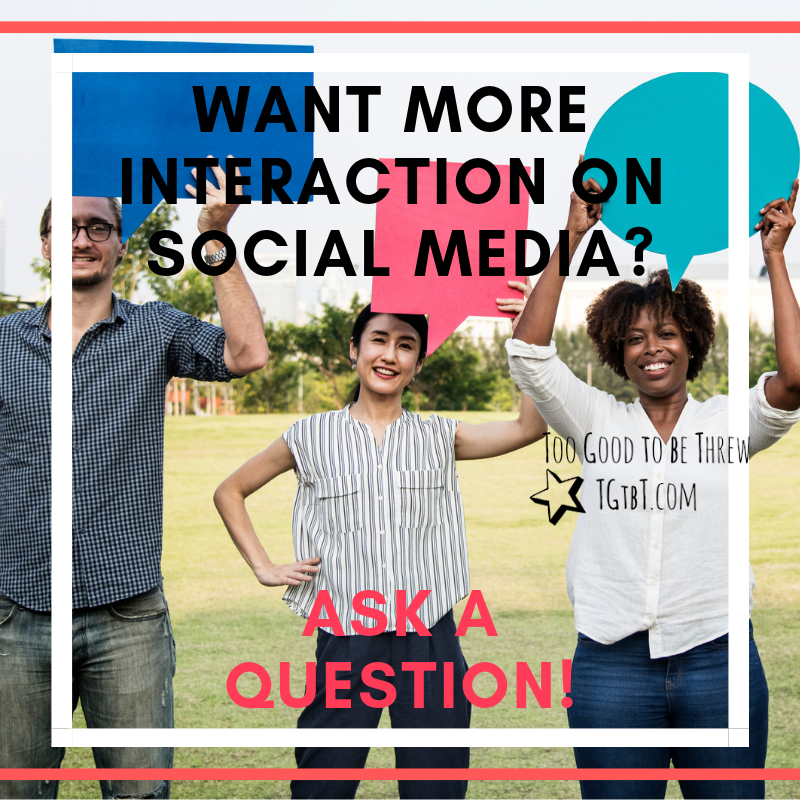 How to get interaction on social media: Ask a simple question! away gift certificates isn’t one of them LOL). 1- Ask a simple question that most folks have an opinion on. 2- Use a copyright-free image to get them thinking! For extra points, include your text and your business name as an overlay on the photo. Here’s some categories and examples to get you started. You’d call my decorating style _____. If I adopted a pet, I’d name her/him ______. Would you rather have a rich spouse or your health? Would you rather visit New York or LA? Would you rather have a lifetime supply of chocolate or coffee? … the best compliment you ever got? … the best present you ever gave? … the silliest thing that could happen in the next 5 minutes? What one thing would you like to do today if only you could? What would you buy if you found a $50 bill in the street? If you could add one option to your car it would be _____. This question is ideal for posting a mashup of two pieces of your merchandise! … have only one brand of shoes in your closet it would be _____. … give your children one talent it would be _____. … only wear one color for the rest of your life, what would it be? … you could have one superpower, it would be? … you had to move. Where would you move to? … you could have one wish for someone else. Who, and what? The best part of living in our town is _____. I admire ____ because _____. What one decor piece from your childhood home do you wish you had now? If you made a real career out of your first job, what would you be now? What was your favorite playground fixture? Tip o’ the hat to www.angiegensler.com which inspired me to fashion these suggestions especially for consignment, resale, and thrift shops.